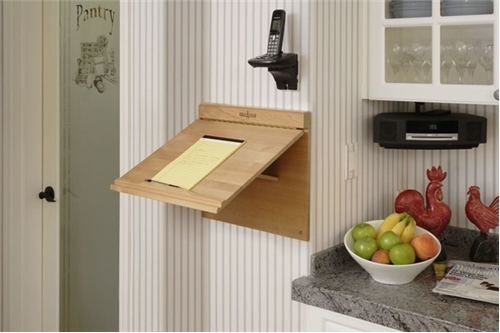 Mounts to any wall to create the perfect reading or writing slope. 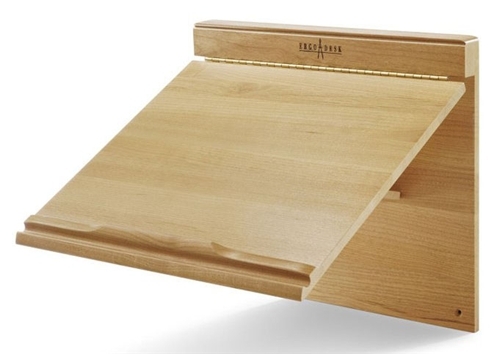 Great as a phone desk or cookbook holder. 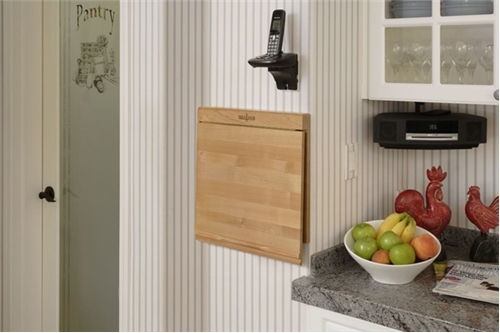 Ideal for limited space or high traffic areas such as a hallway or kitchen. Handcrafted from Oregon Alder with an elegant Natural finish and Italian brass fittings for beauty and durability. Built-in pen slot below paper ledge keeps pens handy for writing. Can be installed at either a standing or sitting height. Package dimensions: 24" x 19" x 3½"
7½ lbs. (9 lb shipping weight).